I love it when a giveaway ends, so I can roll out a new one. But I hate announcing the results because of the disappointment to everyone else. 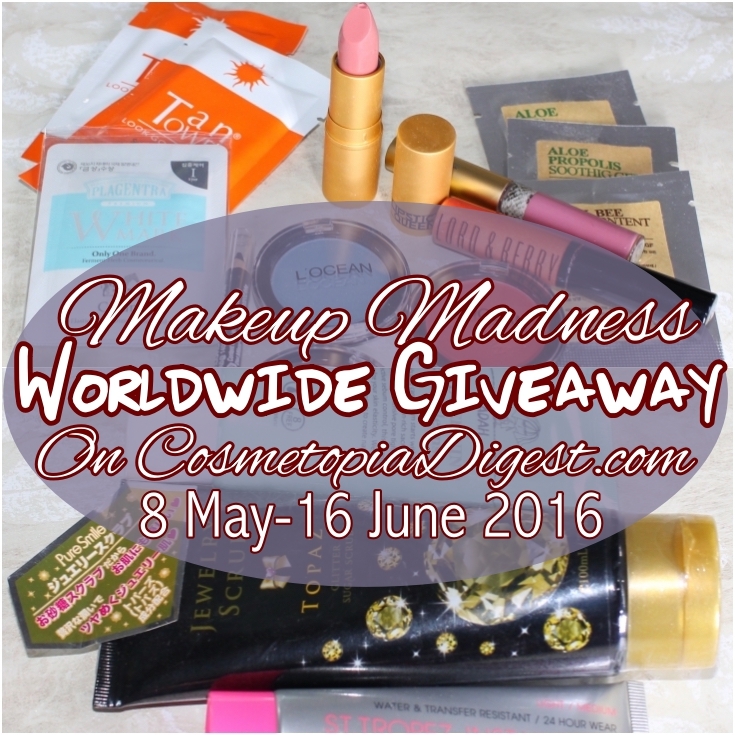 Anyway, there is no avoiding it, so here are the May Makeup Madness Giveaway Results. New giveaway starts next week, so don't go anywhere. And it will have even more makeup! Scroll down for the results of the May giveaway. I'll have the prizes shipped out within a week, depending on when I get time to go to the PO. It MIGHT take up to a month (sometimes even longer if your country's customs decides to open the package as it comes in), but I am sending everything via registered post and will be glad to pass on the tracking number if it does not arrive after a month, for you to follow up at your PO/customs. Those who did not win - new giveaway starting a week later, with more makeup. There's eyeshadow, lipstick, and... nah, stay tuned. No more spoilers.